Don’t pack it, hire it with Rock-A-Bye Baby! I recall the moment we discovered our son loved a battery operated swing. So content was he being rocked to and fro while I savoured the freedom that came with two free arms. Unfortunately, he was already three months old, our last child and the swing belonged to someone else. So faced with the expense of purchasing a swing or rocking the baby ourselves, we continued with the free option. For this reason alone, I love Rock-A-Bye Baby Equipment Hire. This Sydney-based company give you the freedom to hire all you need for your baby at home or while travelling. 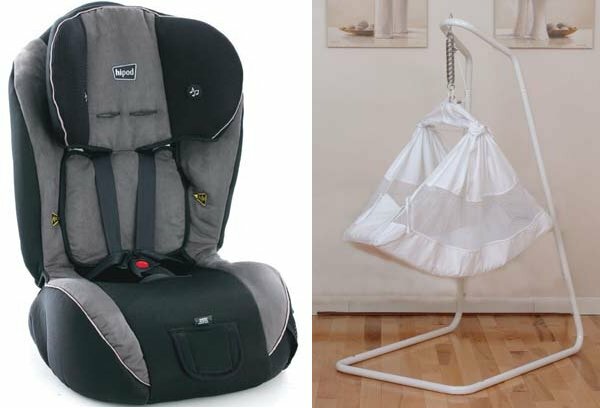 Rock-A-Bye Baby offers everything from portable cots, car seats, capsules and prams to hospital grade breast pumps and the aforementioned swings. Travelling with a baby can be eventful. Trying to pack a nursery into the boot of your car takes its toll on both you and your equipment. Instead of trying to take everything with you, turn to Rock-A-Bye Baby. The Travellers Package is nothing short of excellent. For $125, you get your chosen car restraint, single pram, portable cot plus a baby bath and stand for two weeks. It can even be delivered to where you’re staying. So easy and no worrying about other people handling your expensive equipment! For further details, hire prices or to make a booking, head to Rock-A-Bye Baby.